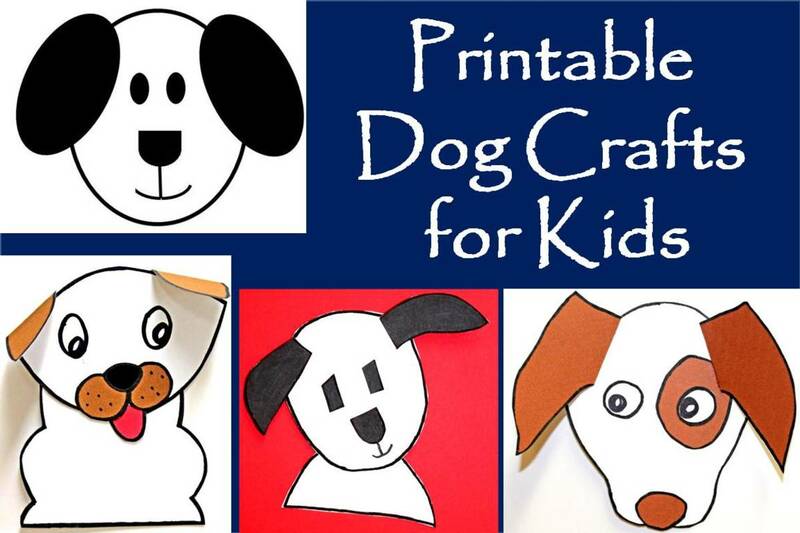 Kids love the outdoors and when they see the crafts ideas that I have gathered here, they'll be busy for the whole summer. Here is an opportunity to grab a bag or basket, go for a walk in the woods or on the beach with the kids, picking up supplies as you go, to make crafts when you return. 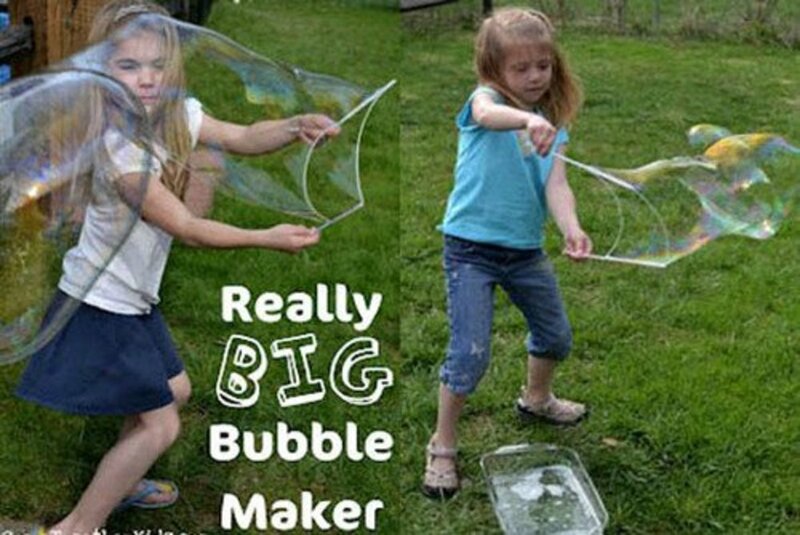 To make the really big bubble makers shown above, go to PBS Parents. We all know how important it is to keep well hydrated, and in the summer the kids are outdoors so much that sometimes they forget to take water with them. 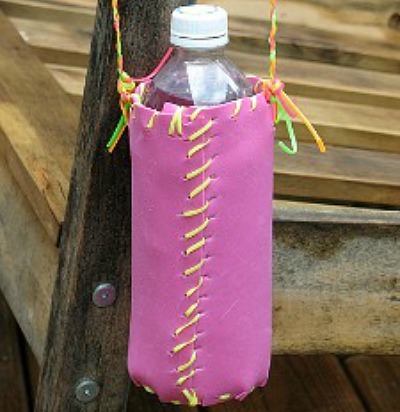 By making their own water bottle carrier they are more likely to remember, and have lots of fun making the carrier. The tutorial is found at Guru to the Outdoors. 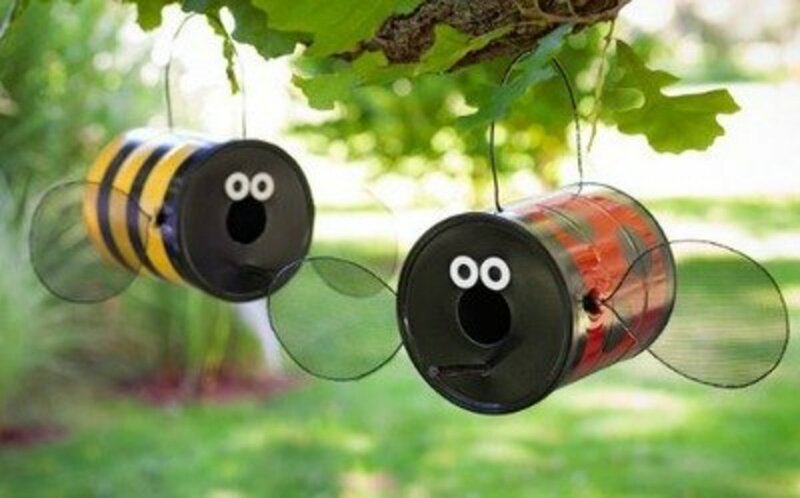 Use left over pvc pipe to make very attractive hummingbird feeders for the backyard. 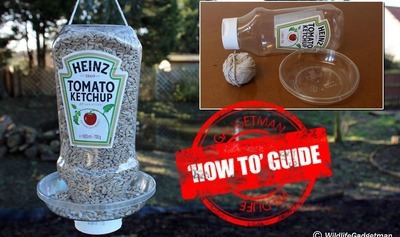 A great family project to enjoy long after the fun of creating the feeder is over. 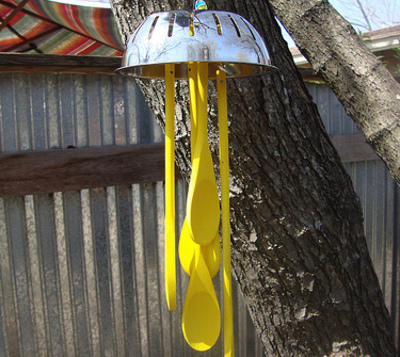 Find the tutorial for making this hummingbird feeder at Birds & Blooms . This would be a fun backyard project for the family. 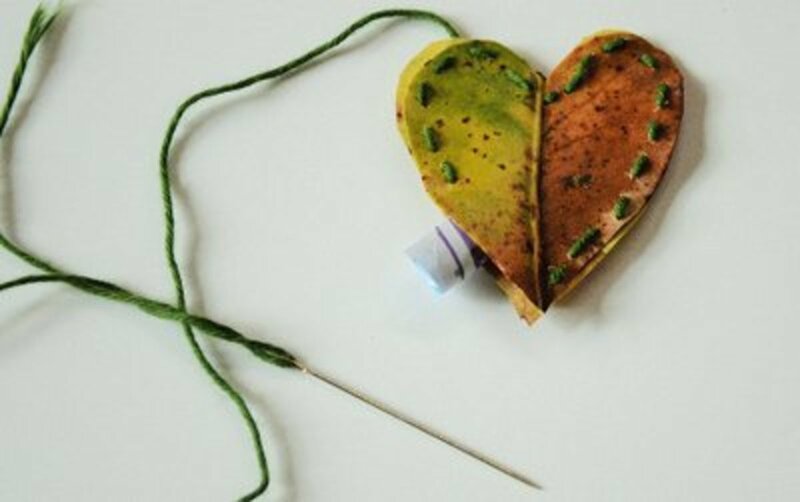 Learn how to make the leaf hearts with the directions found at Mother Natured. A great rainy day project for the kids using paint and buttons. 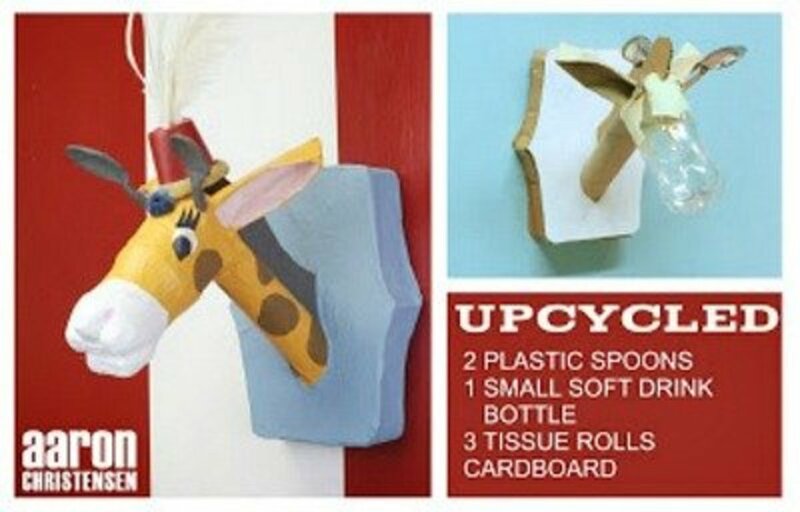 The instructions for this project can be found at Mod Podge Rocks. Easy to do!! Make the bird feeder using the instructions found at Ashfield Infant and Nursery School. This is such an old, but impressive project. We did this when I was a kid, but we used pieces of coal rather than briquets at that time. Your kids will love doing this. Go to Love and Laundry for a step-by-step pictured tutorial. A nature frame for a picture of a memorable, summer activity. 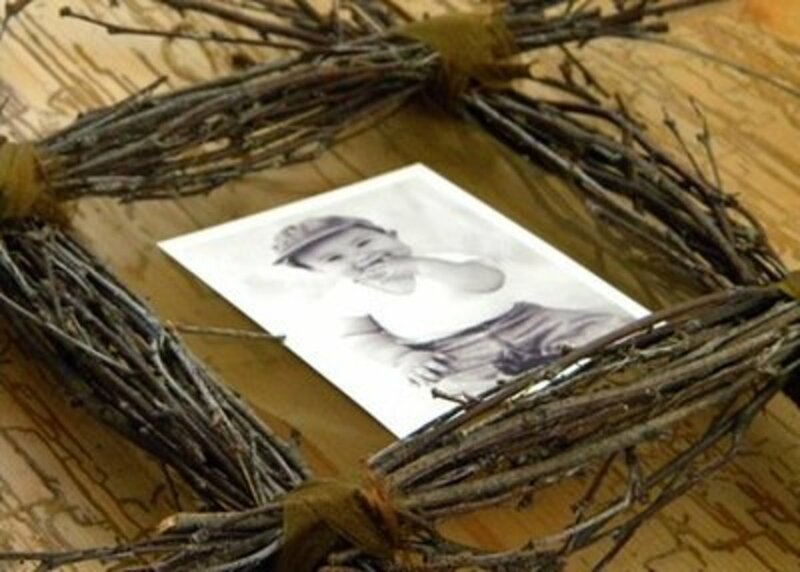 You'll find the instructions for making this frame at Home Work. 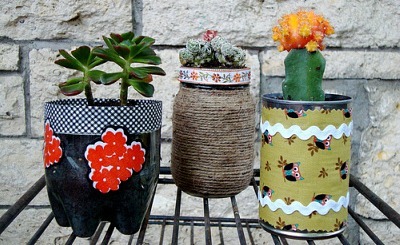 I love the looks of these pots, especially the twine wrapped one. 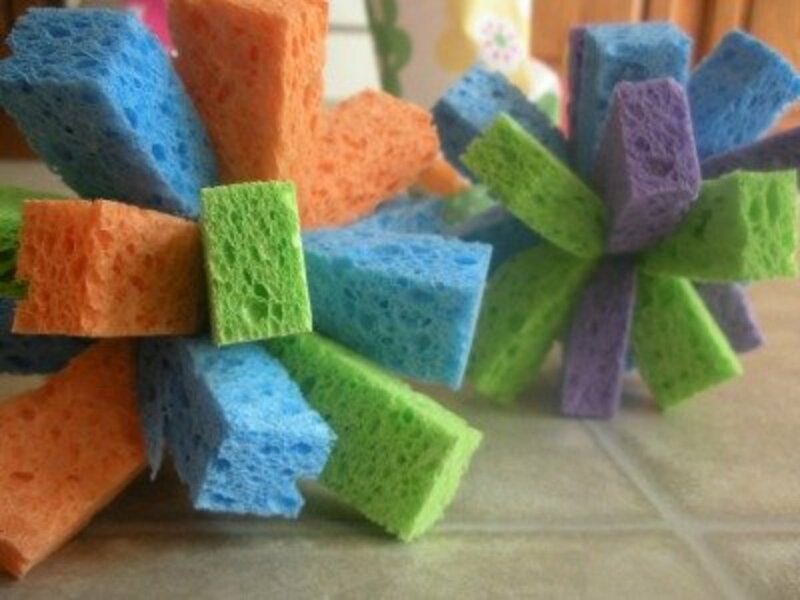 They could be used for so many things around the house besides a plant. Go to PBS Parents for the instructions. The kids will be so proud when you use these garden markers year after year. Easy to understand directions are found at Craft jr. This is an opportunity to give the kids a little history lesson. You'll find the directions for making this talking stick at Classic Play. 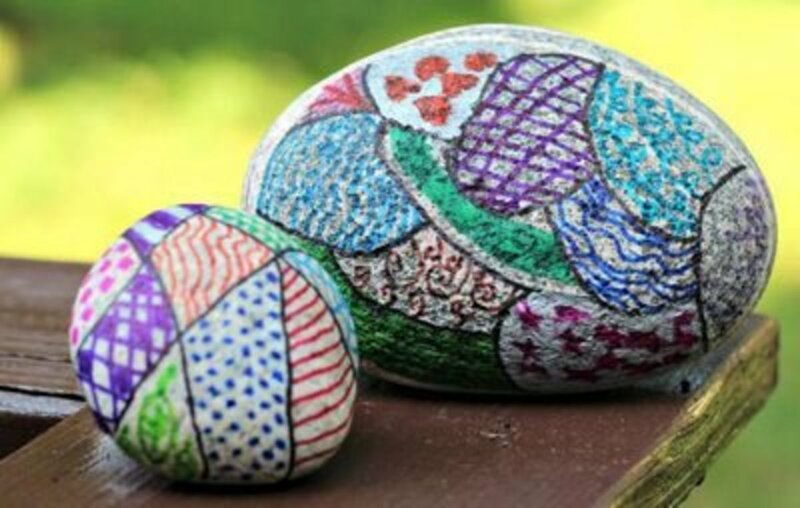 Kids of all ages will want to make their own zentangle rock. Go to Adventures With Kids for the instructions. 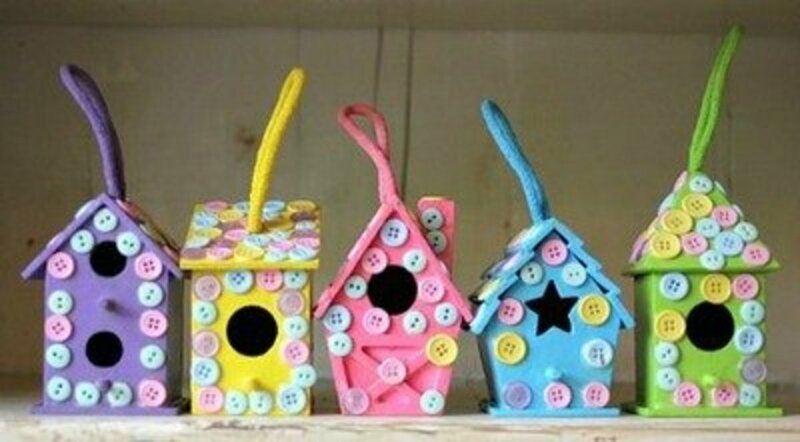 What kid wouldn't love to make a birdhouse for his feathered friends in the backyard. You'll find the instructions on the Education.com website. I think this is a beautiful project. 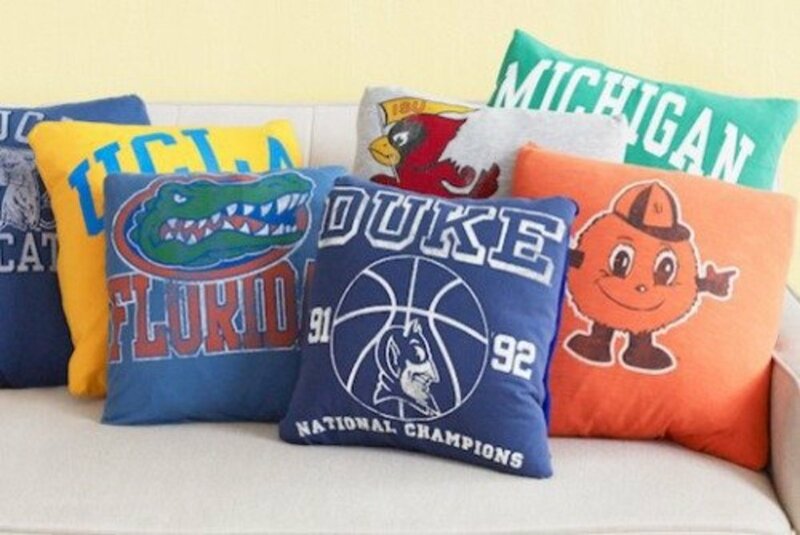 I'd be happy to display these in my home. Go to Dozi Design for the directions. This is such an old, but great outdoor project. 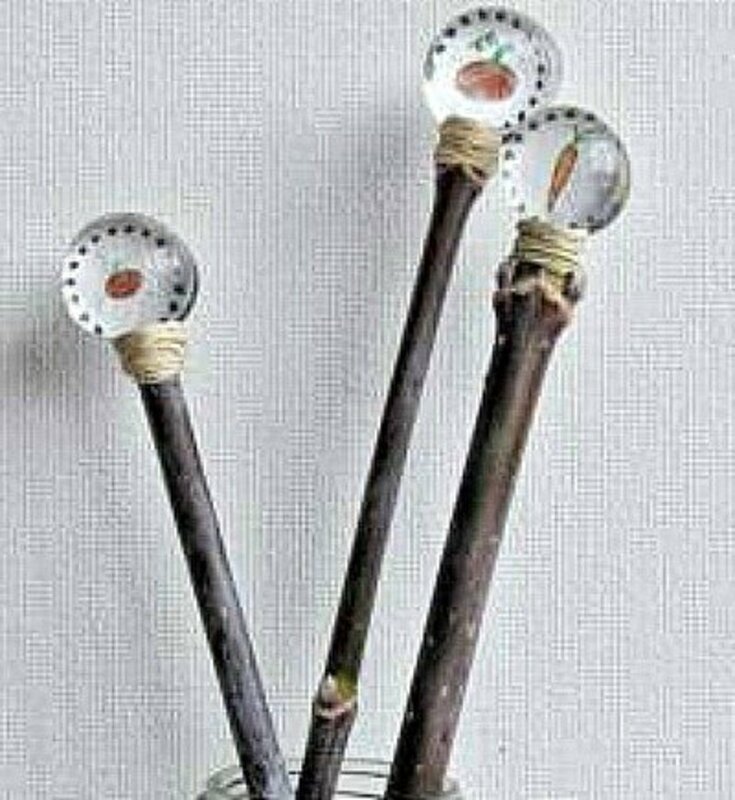 Many scout troops make these God's Eye crafts. Go to Craftjr for the instructions. This is a good project to do outdoors because it can be a bit messy. It's really a pretty flower pot though. For the instructions, go to Lifestyle How Stuff Works. I think you could use any utensils to make this chimes. I know what I'll be looking for the next garage sales I go to. You'll find the directions for making the chimes at PBS Parents. 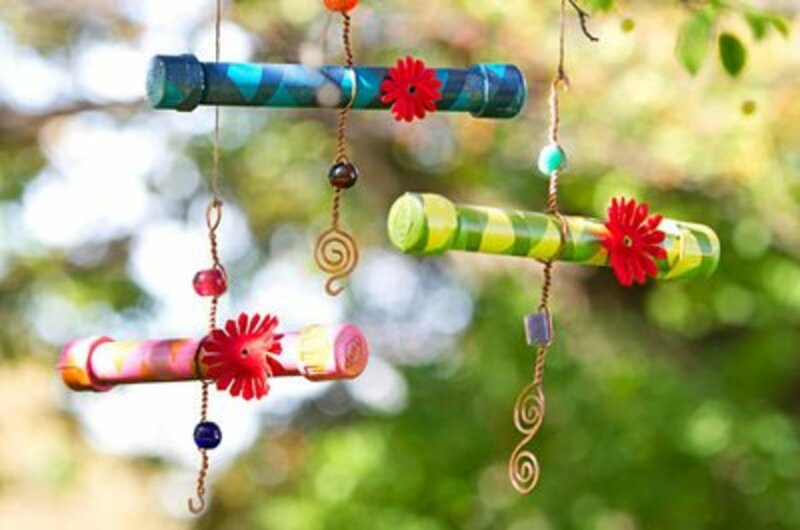 These bright colored wind chimes are not only beautiful to look at, but they are also loads of fun to make. 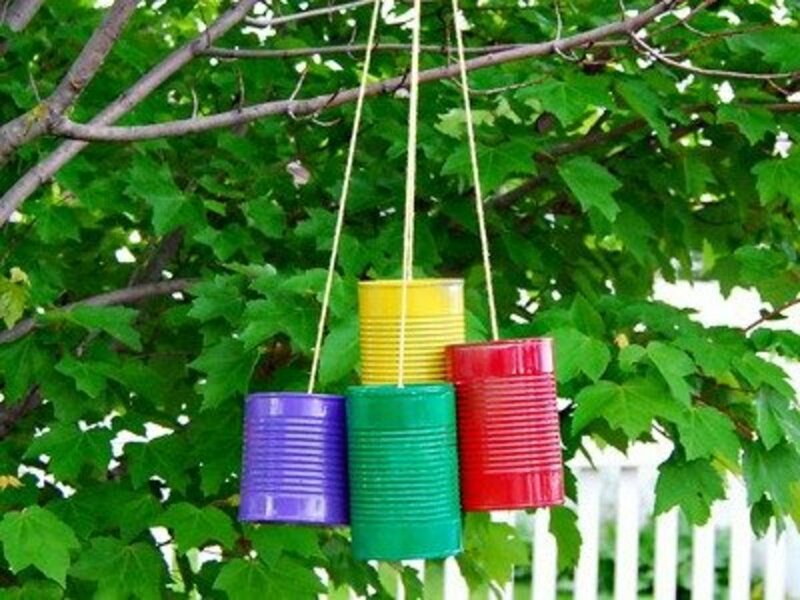 You'll find the directions for this tin can wind chimes project at She Knows Parenting. 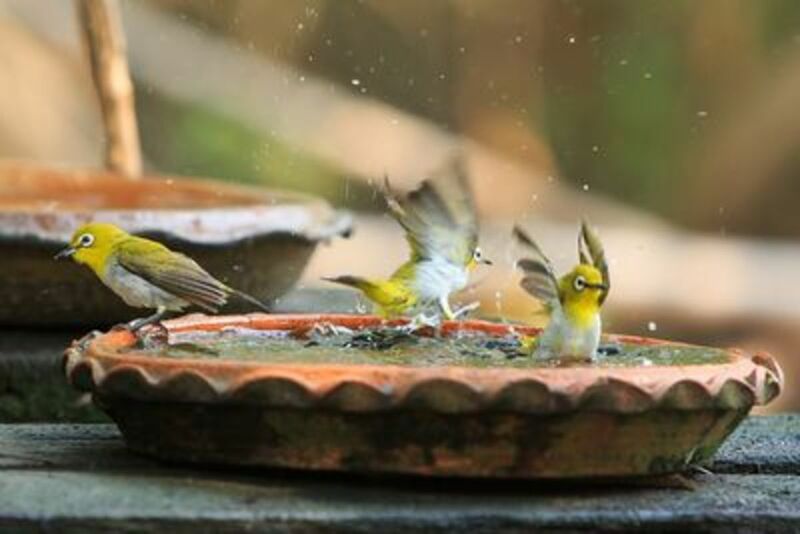 Make a birdbath for your backyard, and watch the antics of your bird friends. Go to Family Crafts for the directions. This would be so much fun to do as a family project. 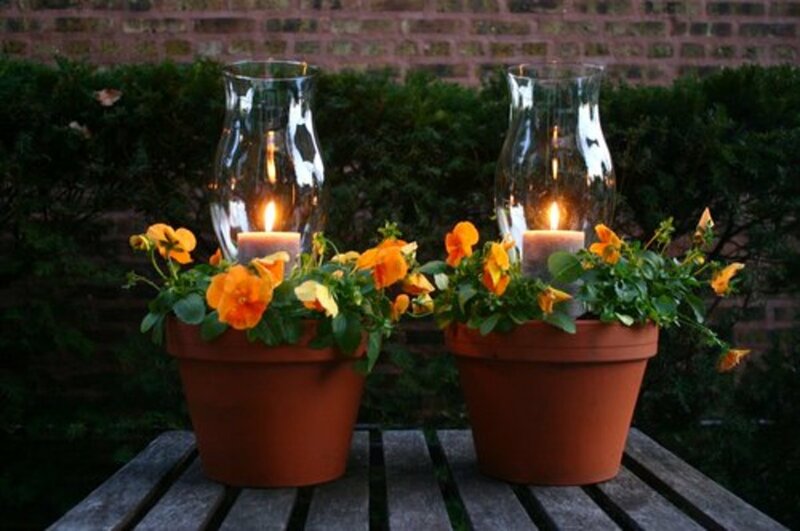 Make the patio light covers and then sit and admire them. Go to Family Unity Network for the instructions. 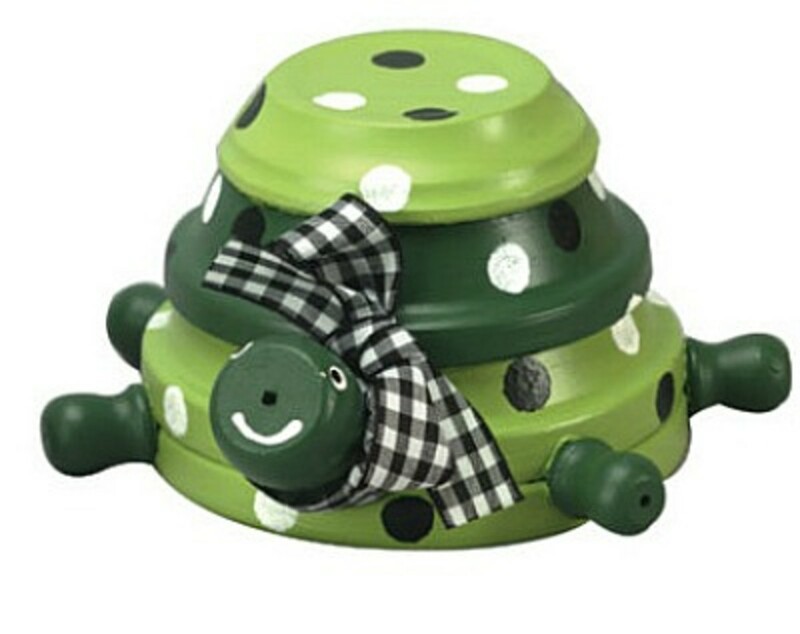 Your backyard could use more than one of these cute turtles. 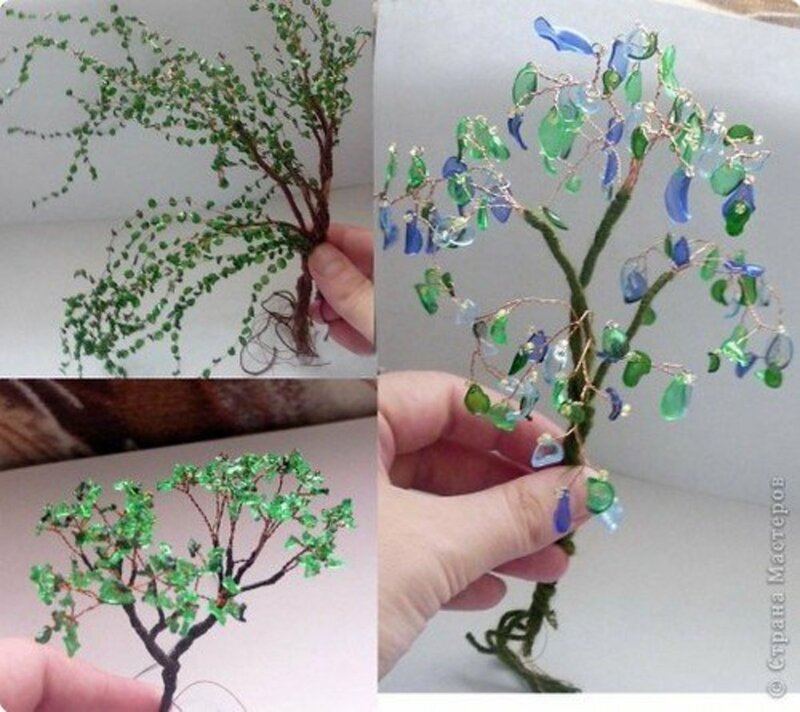 Go to Favecrafts for the directions. 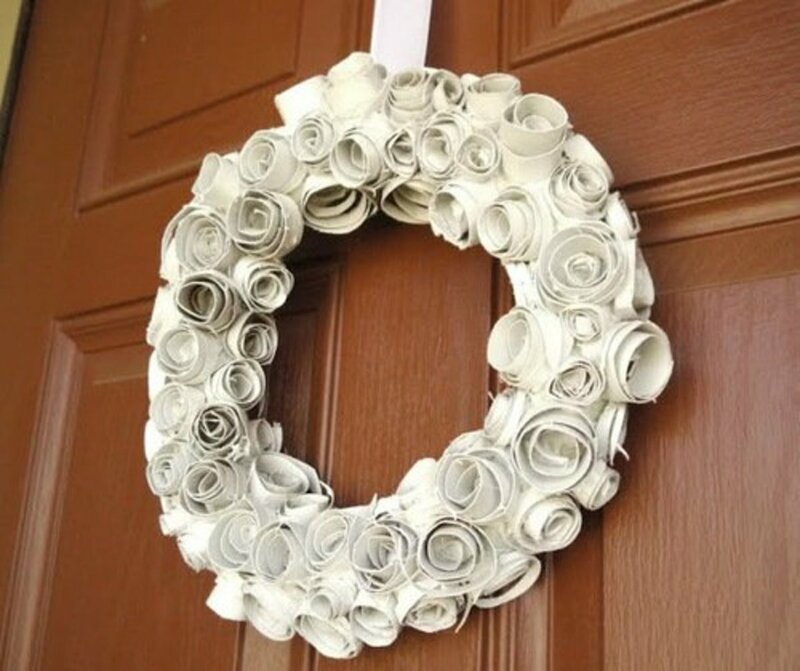 What a great recycling craft. The boys especially will enjoy doing this project. Find the instructions at Embellishmentskids.com. 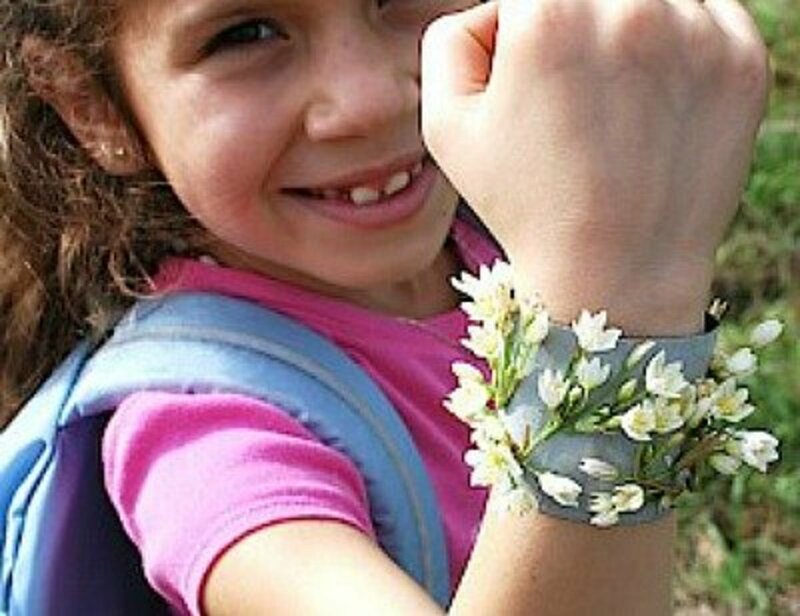 Don't be surprised if you find that the boys will want to add bugs to their bracelet. 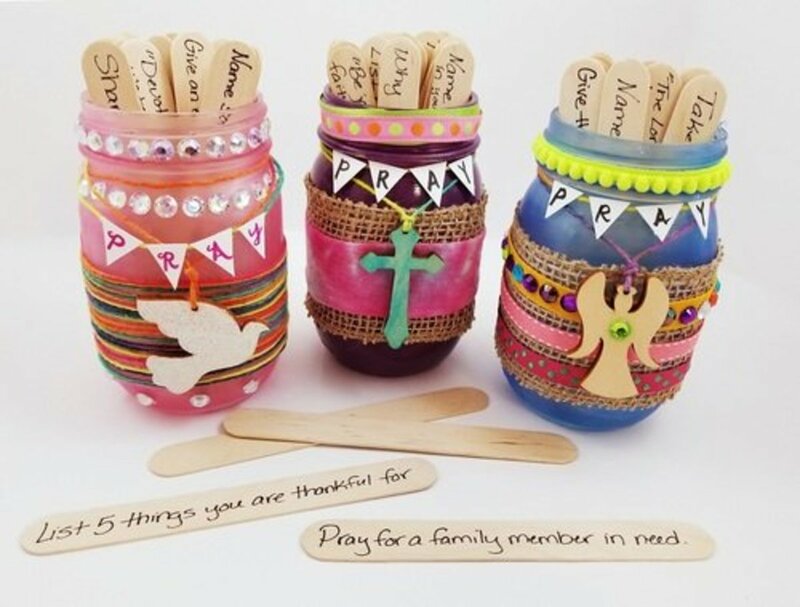 This cute idea and the directions are found at Kid World Citizen. 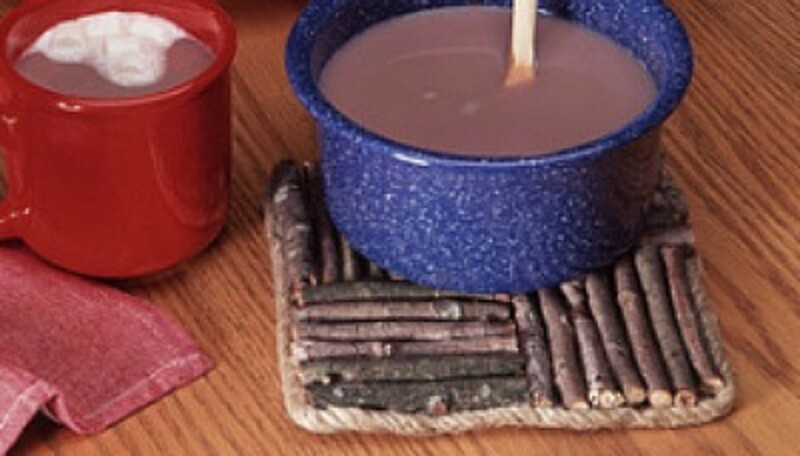 You'll recall all the fun of summer when you use this twig trivet. You'll find the directions at Lifestyle How Stuff Works. Make this sun catcher this summer and have a reminder of a happy summer all year round. 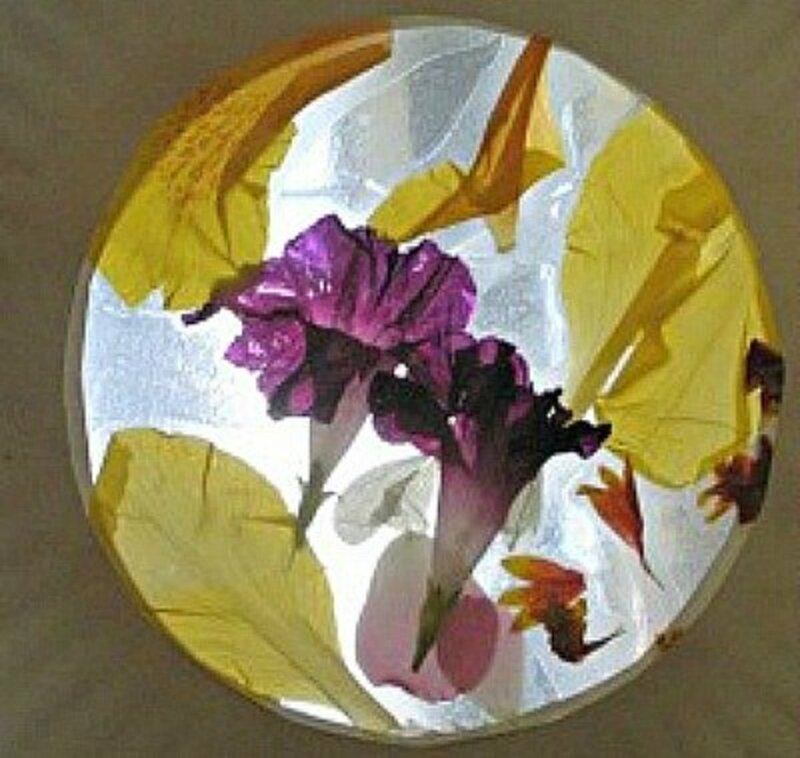 You'll find the directions for making this sun catcher at For the Children. So, what are the kids going to do when the day is rainy, windy and chilly? 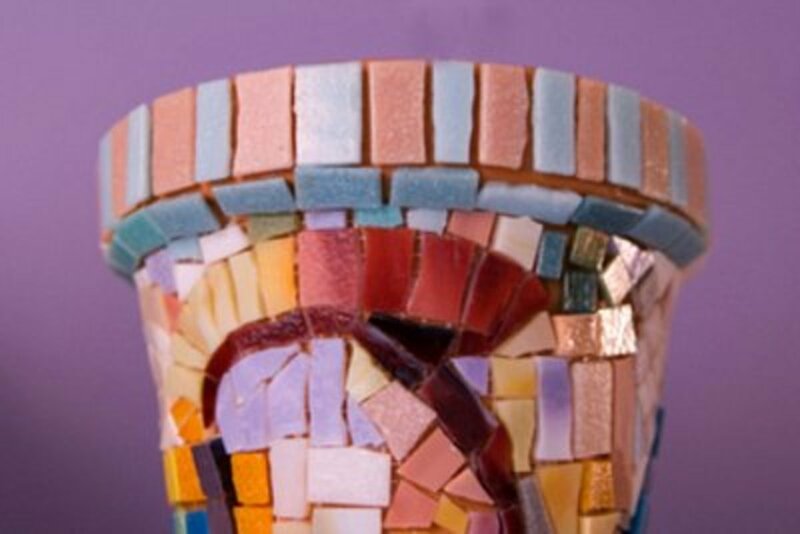 How about making a huge bowl or popcorn, most of it to eat and some of it to use in this craft. 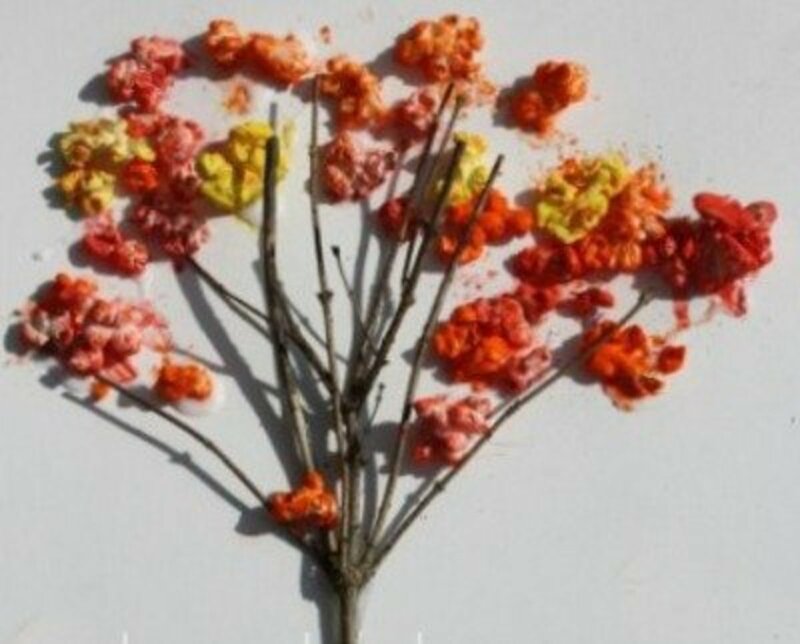 The directions for making a popcorn tree can be found at Happy Hooligans. 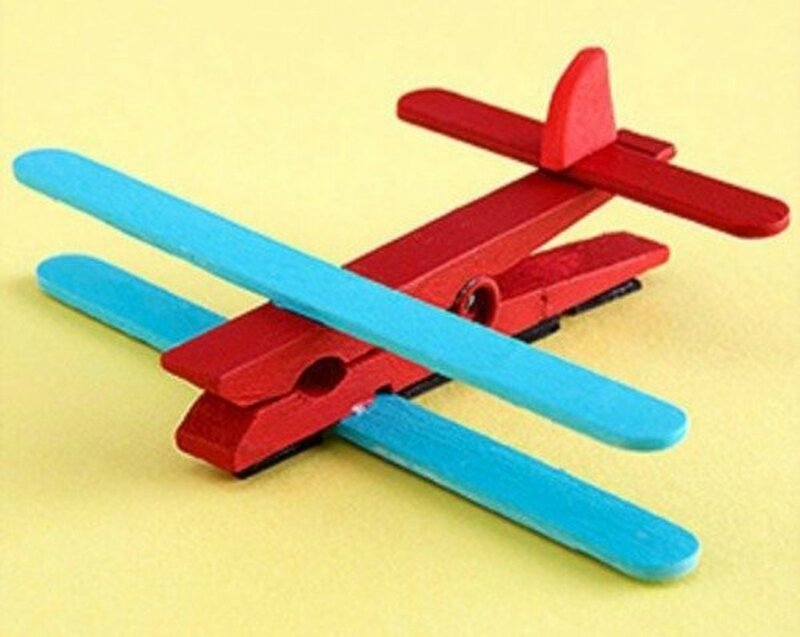 This is a summer craft like the one my family did a number of years ago, and we still look at them and remember how much fun they were to make. 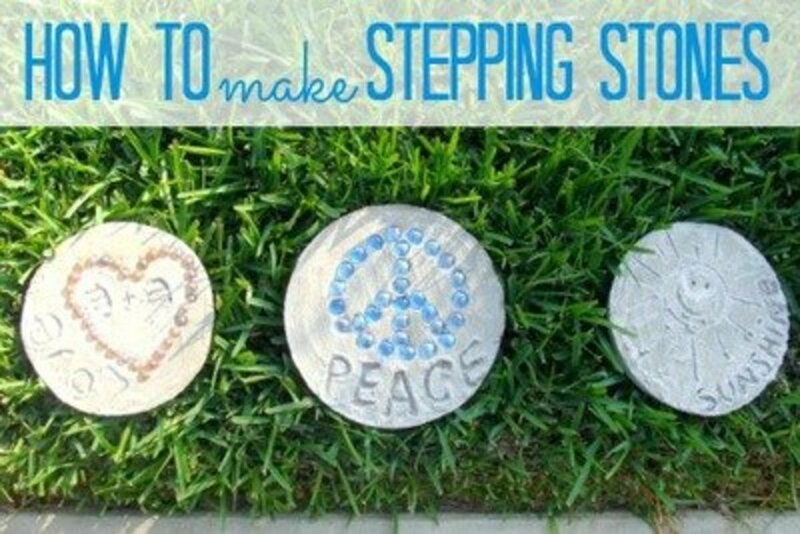 Find the instructions for making stepping stones at C.R.A.F.T. 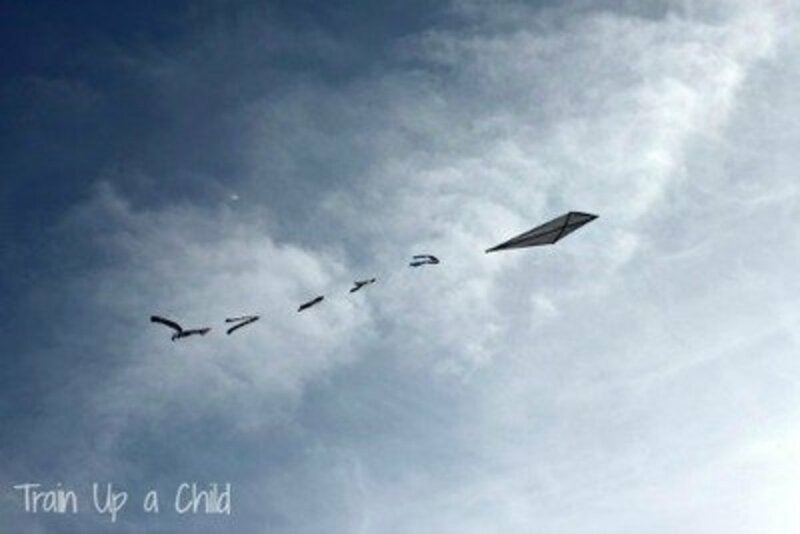 You and your child can make a kite with the instructions that you'll find at Train up a Child. When reading this article on ArtClubBlog I found out why the animals in these paintings are called suranimals. 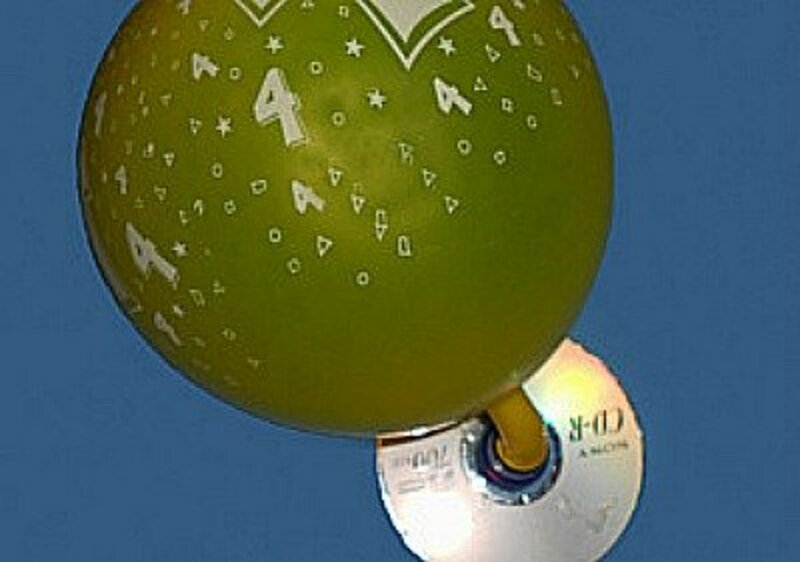 You'll be able to make this an educational project without the kids knowing that they are learning anything. When you go to Housing a Forest to find out how to make the bubble snake gun, you'll also find how you can make the bubble snakes rainbow colors. I would love to hang these in my backyard near the patio. 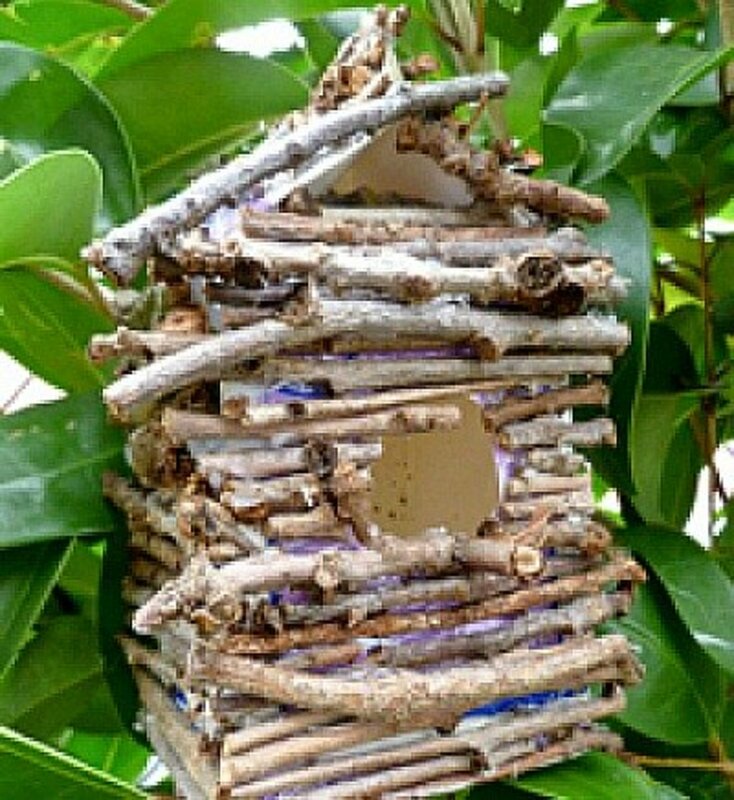 To make these birdhouses, find the instructions at the Lowe’s website. There has to be a certain amount of parental supervision with this project because there is super glue involved. Make this fun hover craft by going to Science Sparks for instructions. 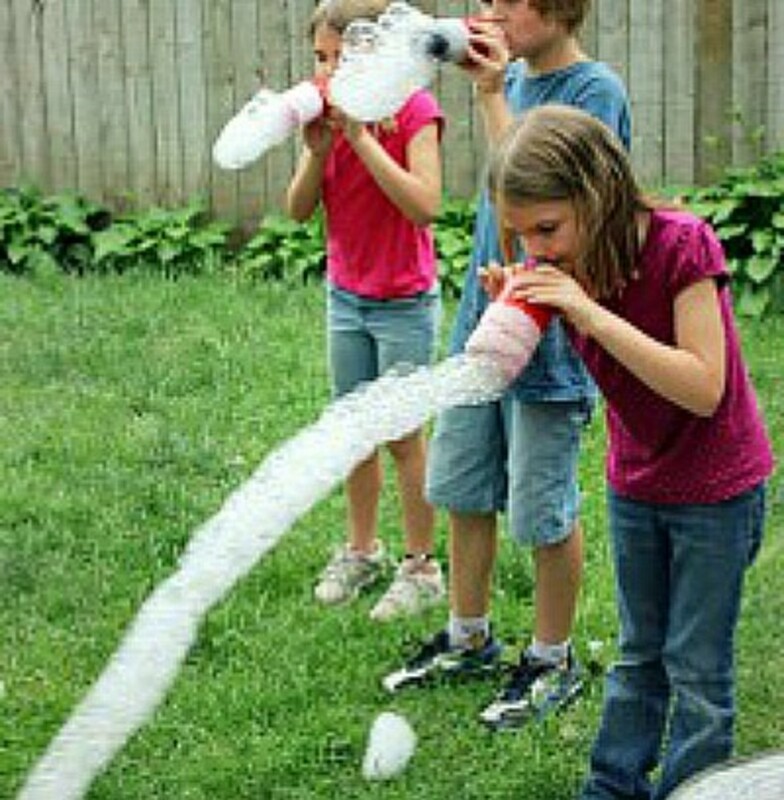 Water fights have to be one of the most fun activities for kids each summer. And they don't seem to outgrow loving water fights, so you'll see Dads and Moms in the middle of these water fights. 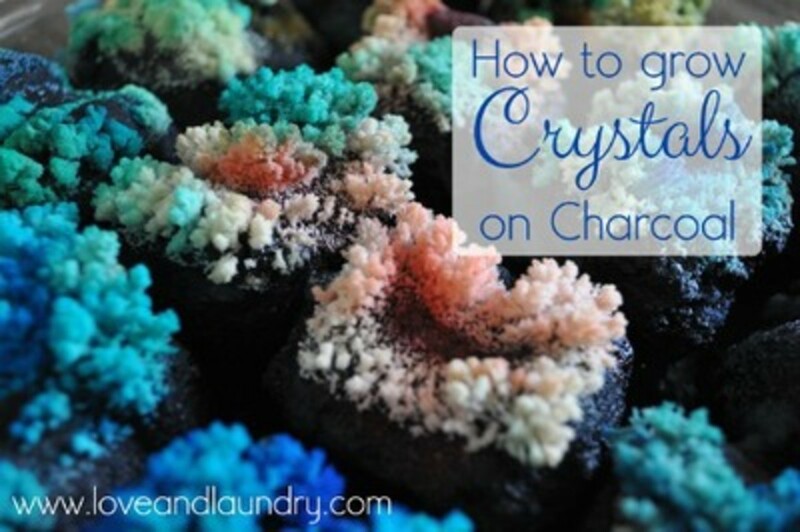 See how to make sponge balls to take water fights to the extreme. The instructions for making sponge balls are found at Sew Totally Smitte. Be sure that there is a tree stump already handy before you show this craft to the kids, or they may want to chop down the nearest tree. 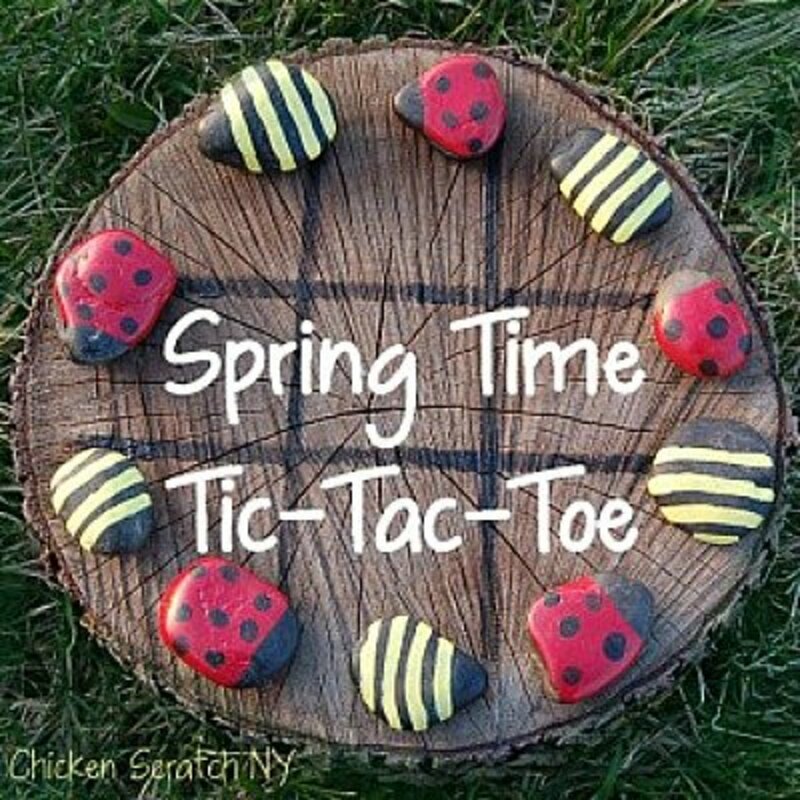 After you find the stump, go to Chicken Scratch for the tutorial on how to make the tic-tac-toe pieces. Of course, if all else fails when it comes to finding a tree stump, improvise by drawing the lines in the sand or on the ground. Have the kids ever wondered how a lava lamp works? 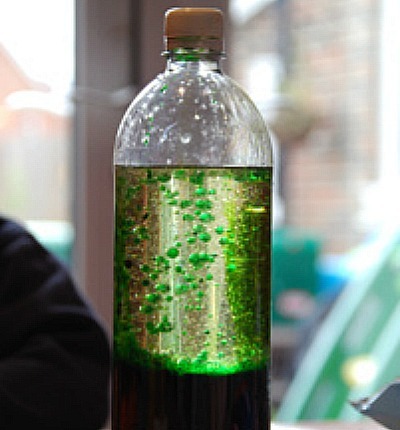 This project, with directions at Science Sparks will help make a lava lamp. 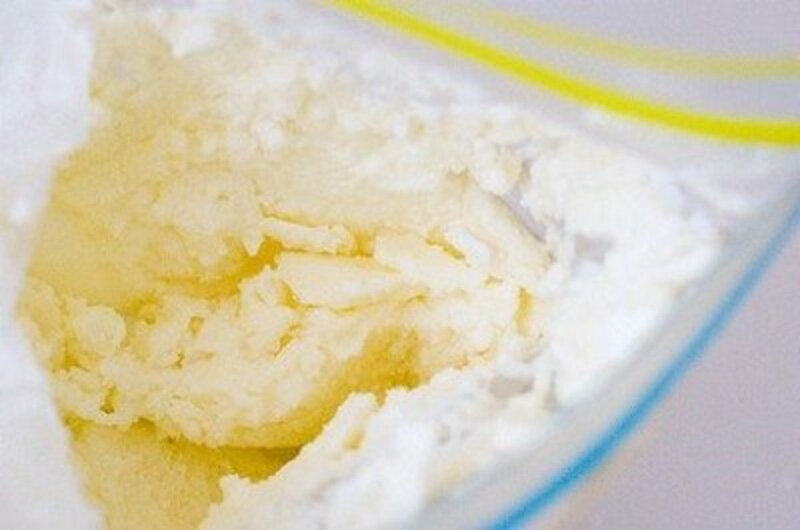 With the directions at Whisk Us Away you can make ice cream in a bag. Any child who loves bugs and catching bugs, will more than appreciate a box like this. 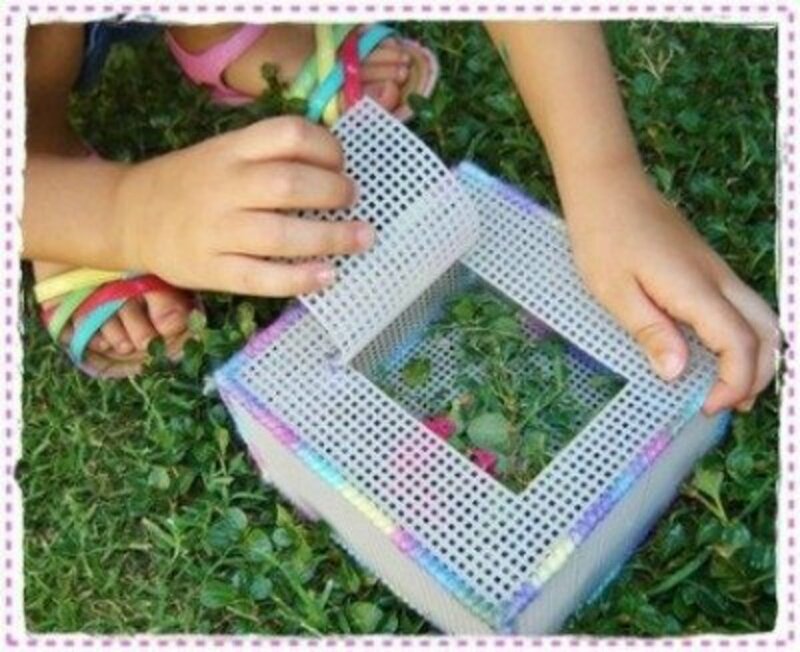 Find out how to make this bug box by going to The Mama Dramalogues. Okay, so this isn't really an outdoor craft, but it looks like an activity my little grandkids would love, so I had to include this game here. 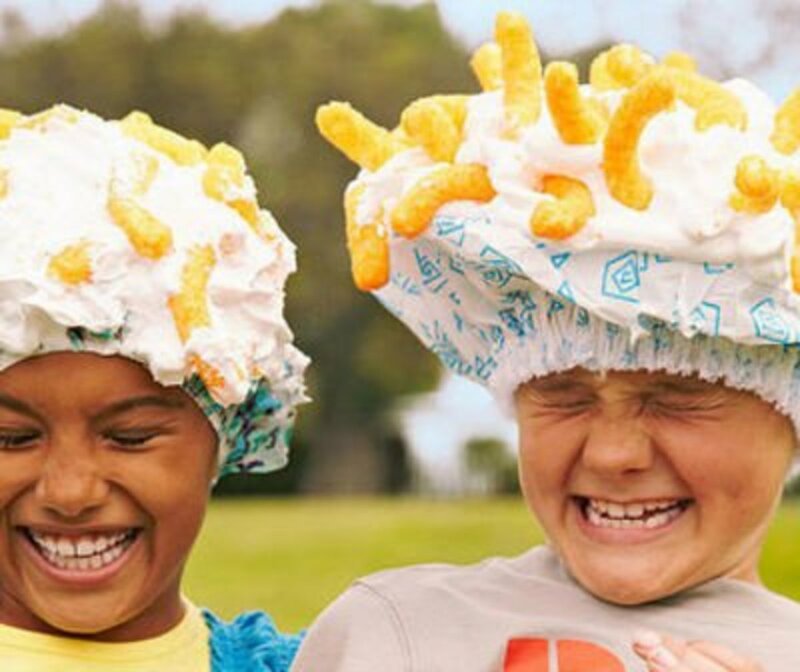 Find the instructions for this cheese puff toss game at Parents. 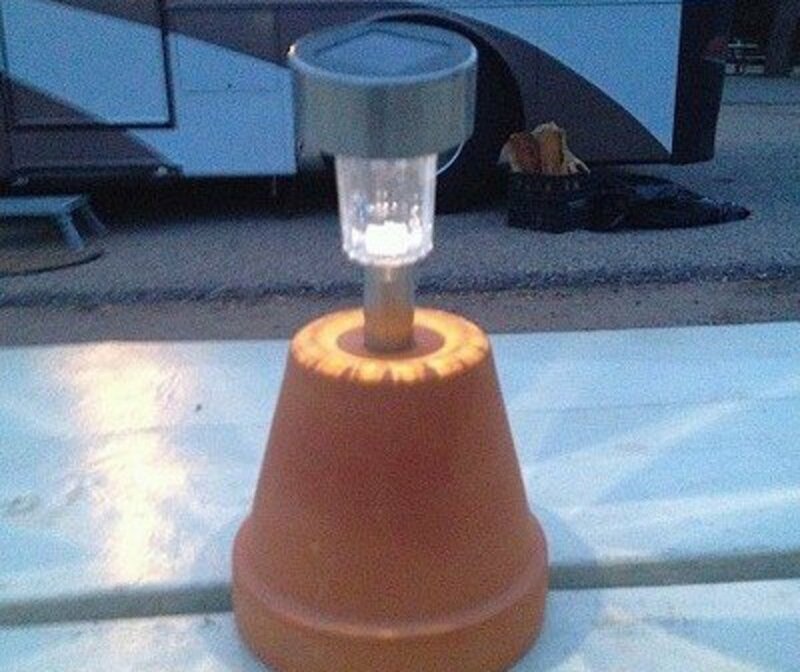 This is an inexpensive, quick and easy way to put light on your patio or campsite table. Find the instructions at Starling Travel. Thank you for this great list of suggestions Loraine! #28 is now on my to-do list for summer. I think I'll get the kids to leave hand or footprints on them so that I can smile when I see them in the yard years later. This is a fantastic list of projects. Absolutely! I paint flower pots and make garden signs while sitting under a tree. 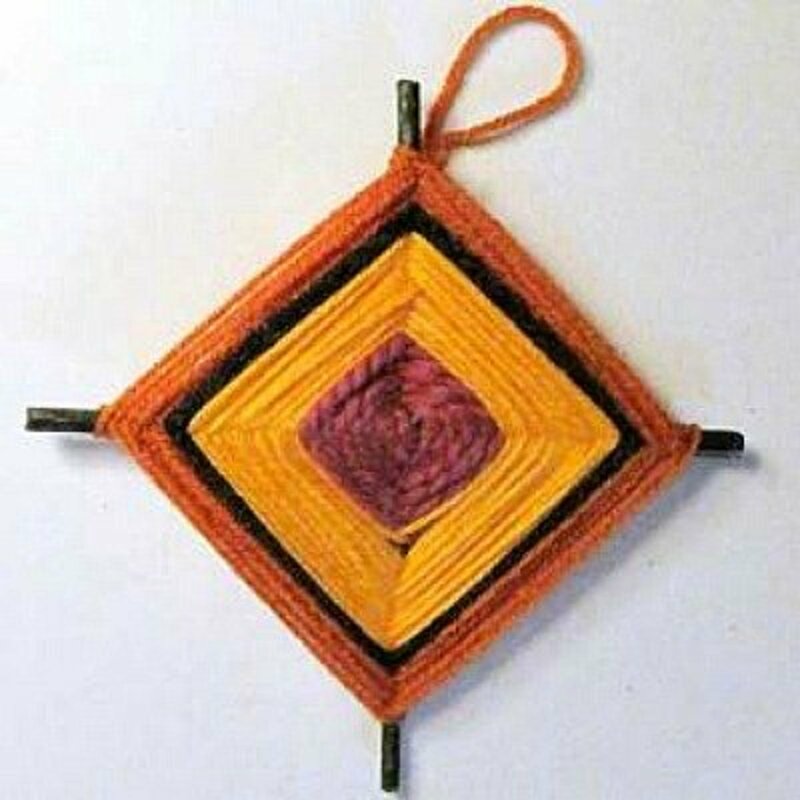 I love outdoor crafts and you have some really good ones here. I used to love making God's Eyes. Painted rocks are cool too! So many ideas I love the terracotta turtle the most though. AWESOME.i loved every idea.Great showcase of knowledge.Going to implement the Indian talking stick in my home. Great ideas ! Very useful info. Lovely ideas! The huge bubble blower was cute. I like the grass house! Cool lens! Great lens. 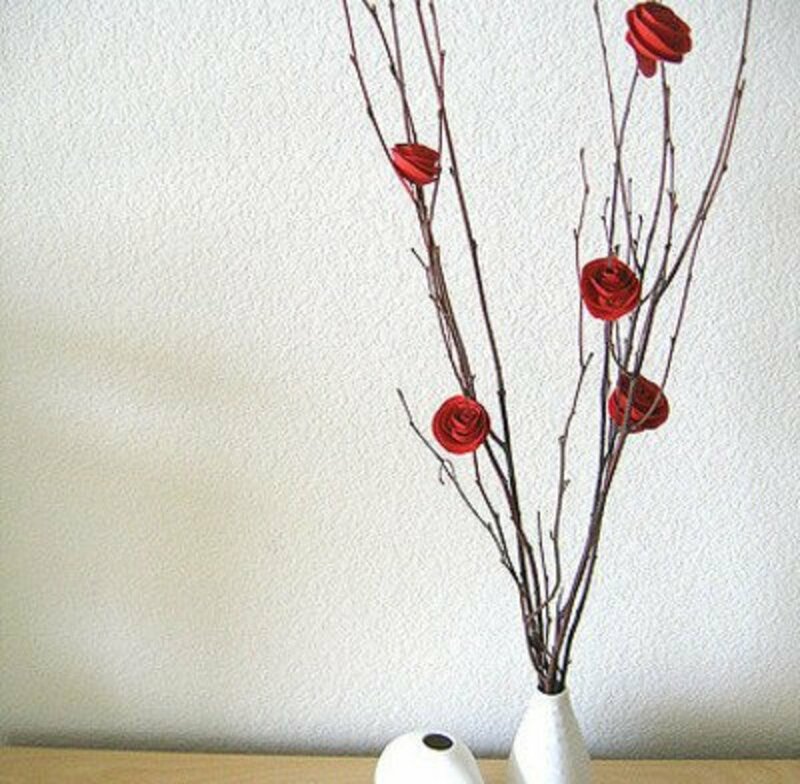 All these craft ideas look easy and fun. I have 4 kids, ages 7, 11, 15 and 17 and I'm going to get them all involved in making a few of your suggested ideas. Blessed on 7/1/12. 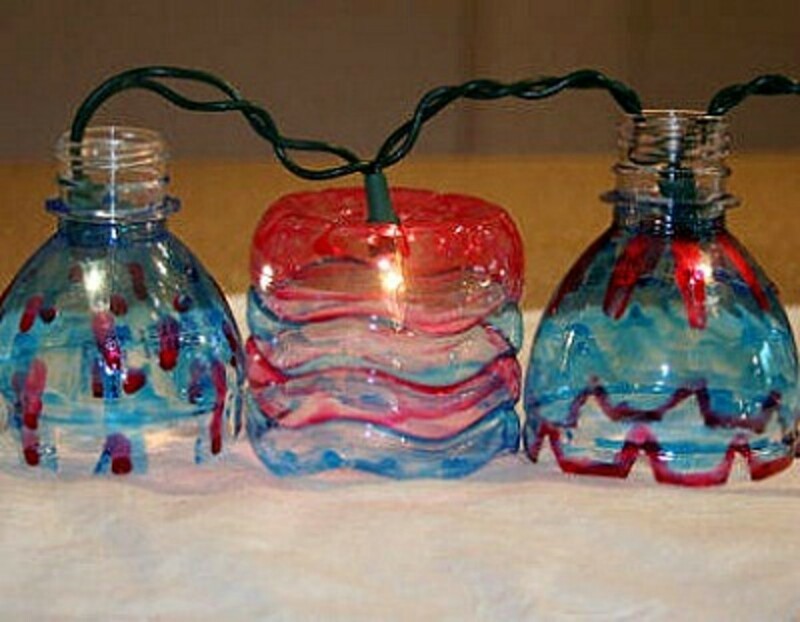 I absolutely love your ideas, its like going to camp for all those great projects they always have ...every kid in the neighborhood will be over for these wonderful backyard activities...delightful+++! These all look like a lot of fun!! I think we'll try some of them!! Those are good ideas for the kids. Great ideas! I can't wait to try them out. 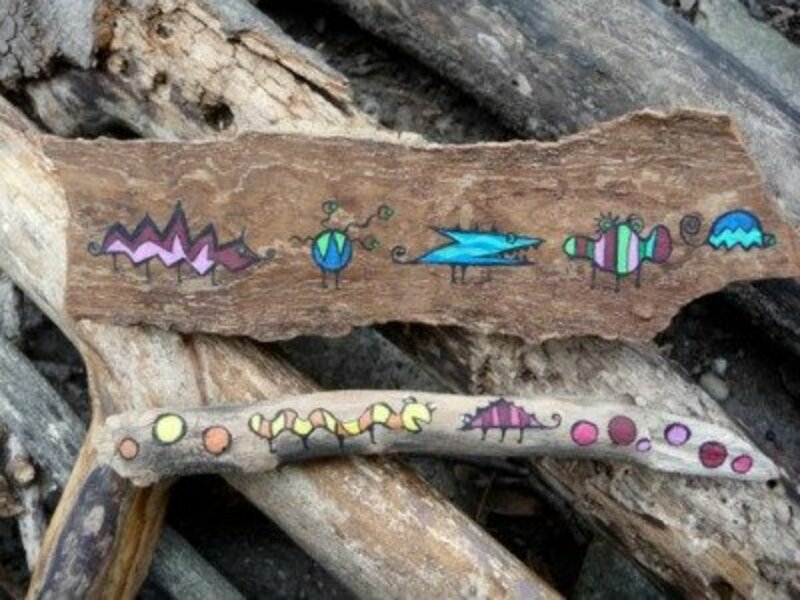 Love all the twig art but especially the birdhouse. Twig on! Great list you got here... squid liked! Very creative. 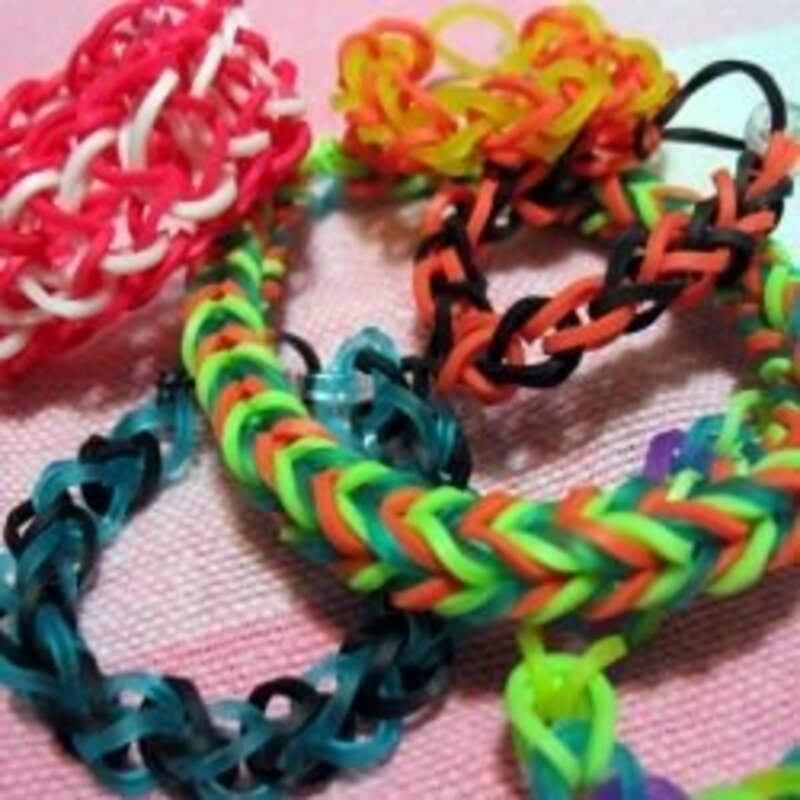 Kids can easily do these and enjoy them, too.